Looking down from the seaside wall of Point Pleasant Battery. 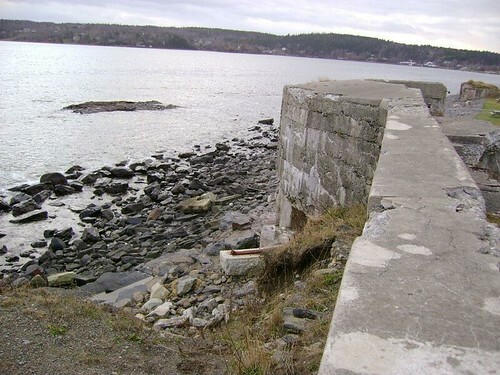 The 1890s fortification was built of concrete on top of the earlier granite stone fort of the 1860s. The swizzle track of the earlier battery can be seen poking out of the embankment.